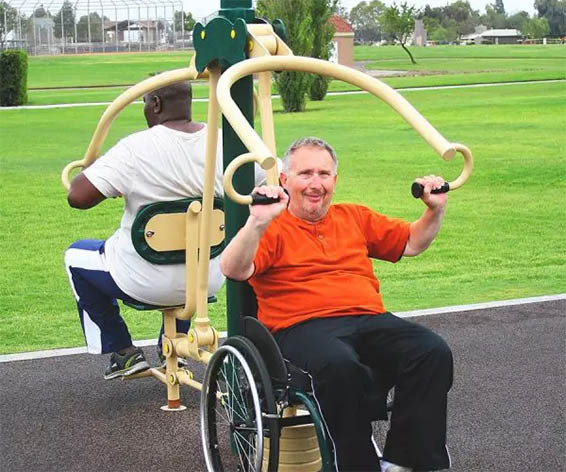 Greenfields offering of Upper Body exercise equipment helps you maintain mobility, flexibility, range of motion and strength. 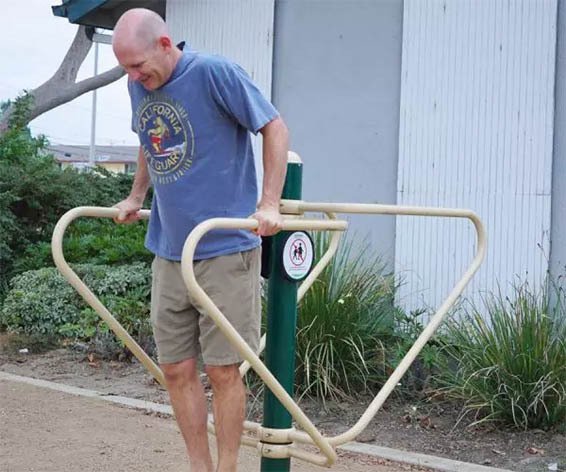 Upper body strength is very important as the upper body controls your ability to perform everyday activities such as reaching, pulling, pushing and lifting. 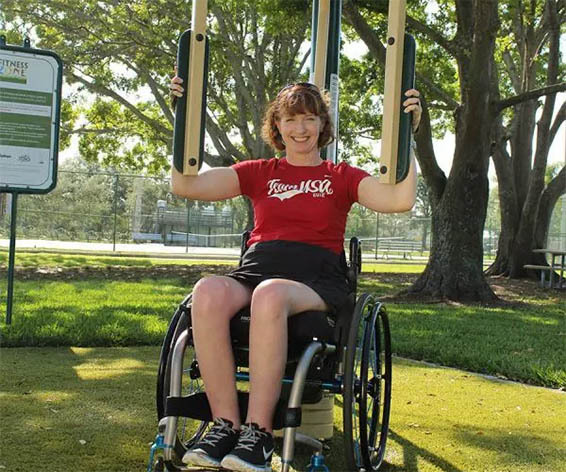 Having a strong upper body improves your flexibility, mobility and range of motion. 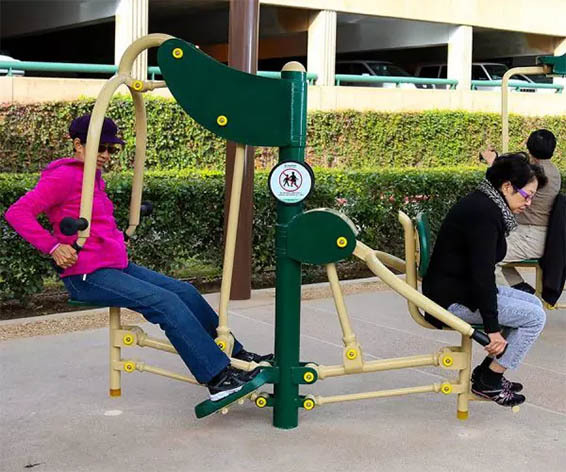 If your upper body strength deteriorates as you age, you are more prone to injuries, disease and a diminished quality of life. 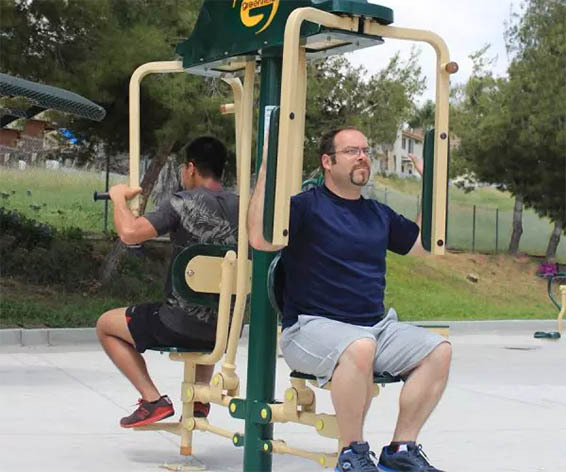 Upper body exercises focus on the development of neck, trap, shoulder, chest, bicep, triceps, forearm and lower back muscles. 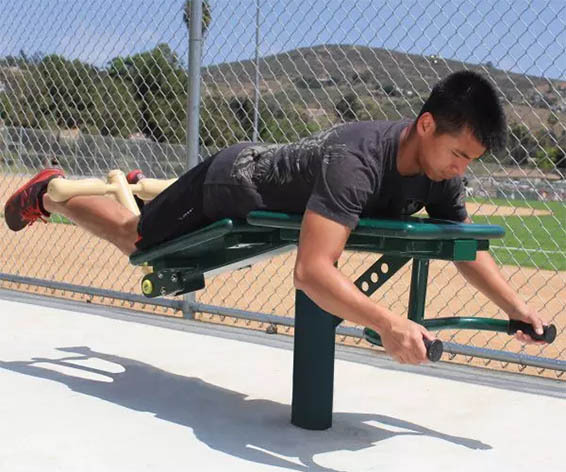 Strengthens shoulder and arm muscles. 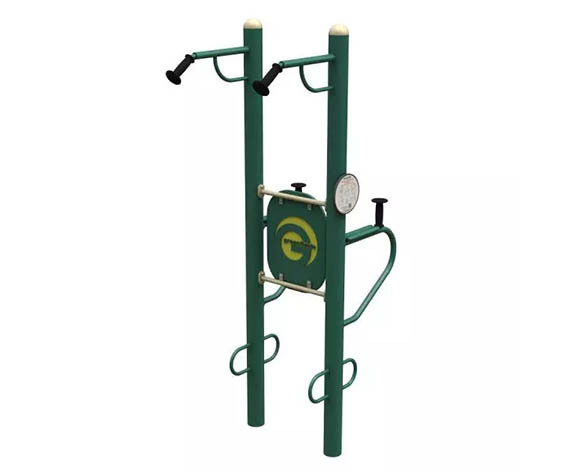 Greenfields offers a wide range of exercise equipment geared towards lower body exercises. 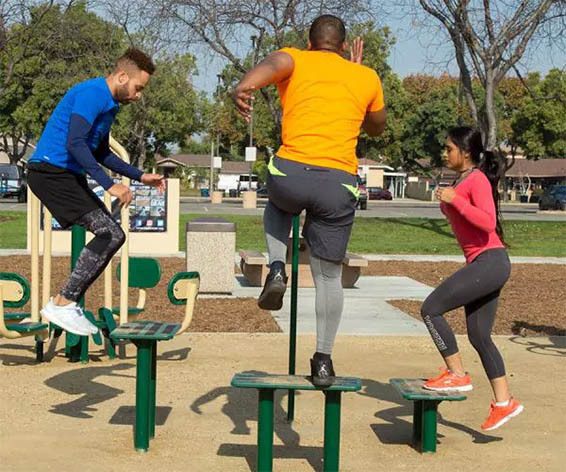 Regular lower-body exercise increases bone strength, improves your balance and stamina and decreases injuries to your knees and hips. 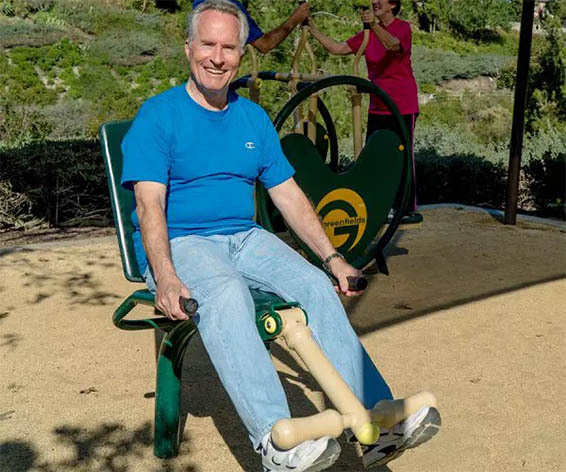 A strong lower body helps slow the physical weakness that is part of the aging process and maintains balance, stamina and confidence. 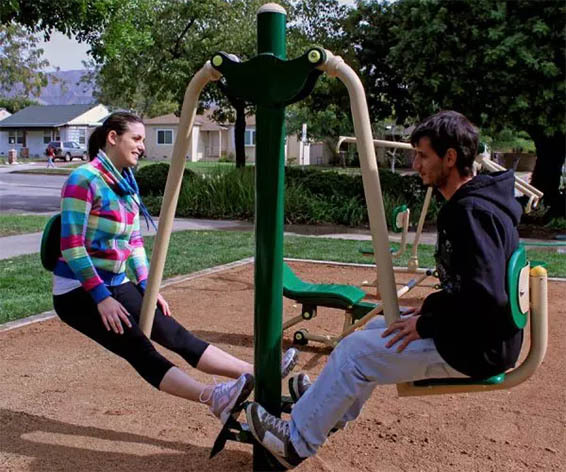 Most lower body exercises focus on quadriceps, hamstrings, calves, pelvis and lower back muscles. 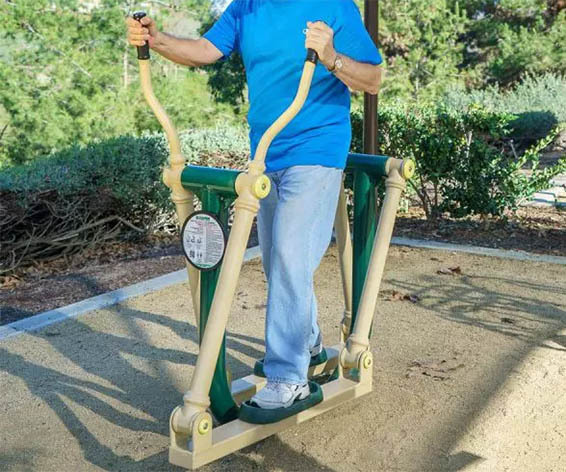 Greenfields has an extensive offering of “Cardio” equipment. 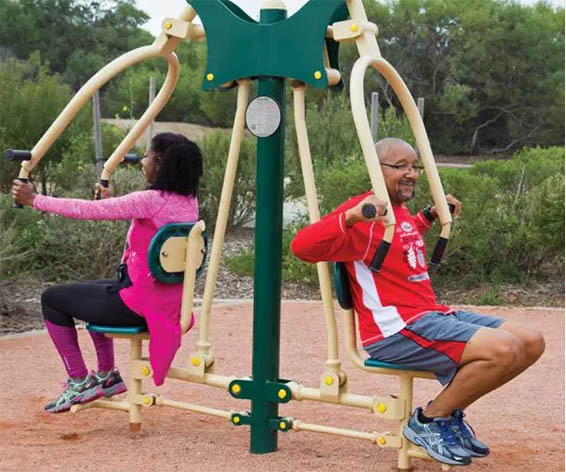 “Cardio”, which is fitness slang for cardiovascular activity, may be one of the most important types of physical activity to maintain health. 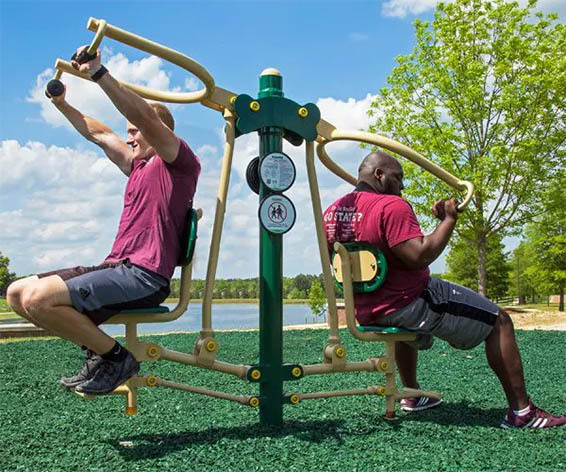 Cardio refers to any activity that increases heart rate and respiration while using large muscle groups repetitively and rhythmically. 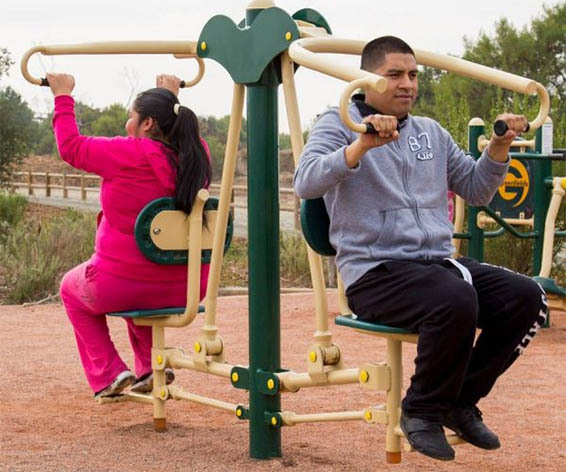 Cardiovascular exercise can improve both the function and the performance of your heart, lungs and circulatory system. 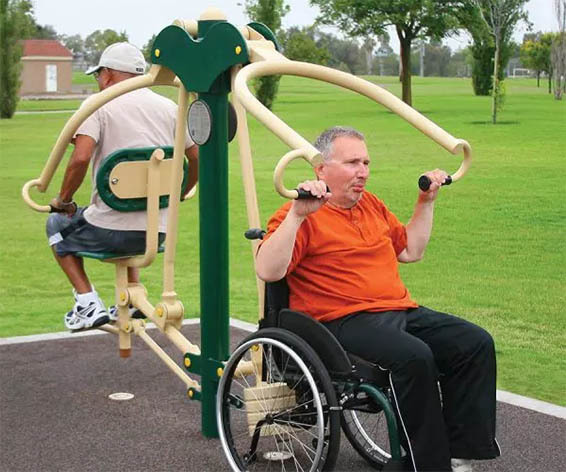 having to transfer out of their wheelchairs. 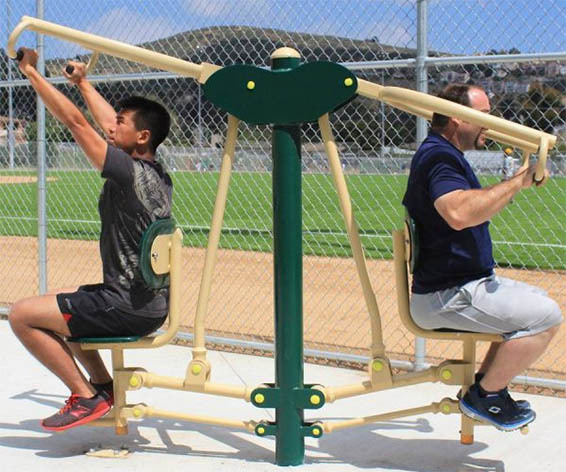 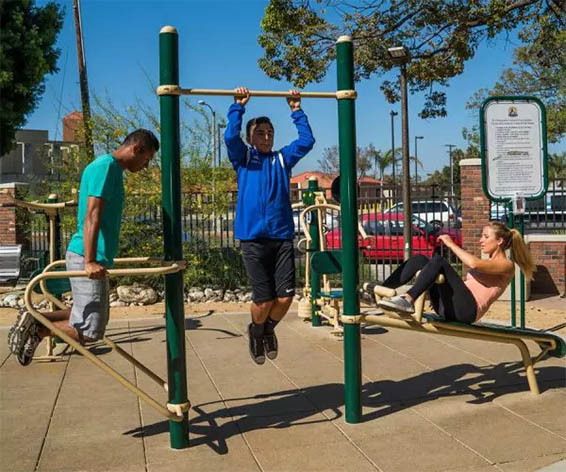 By incorporating these units into the outdoor gym, the benefits of fitness can be extended to a greater percentage of the population. 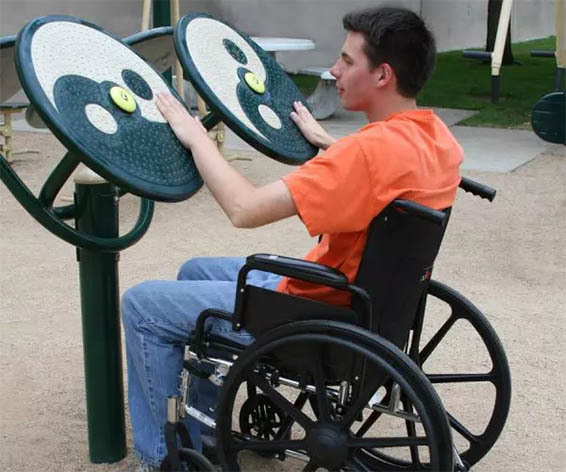 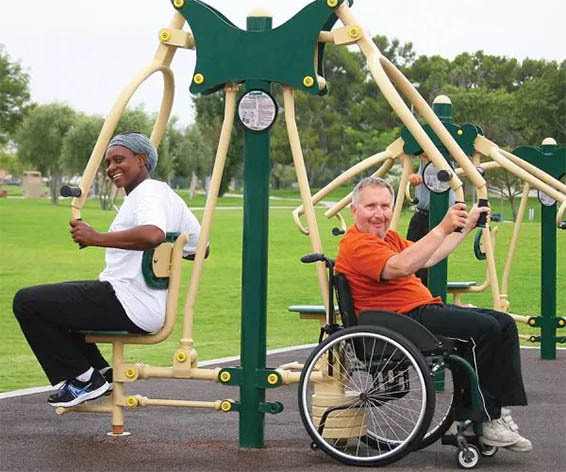 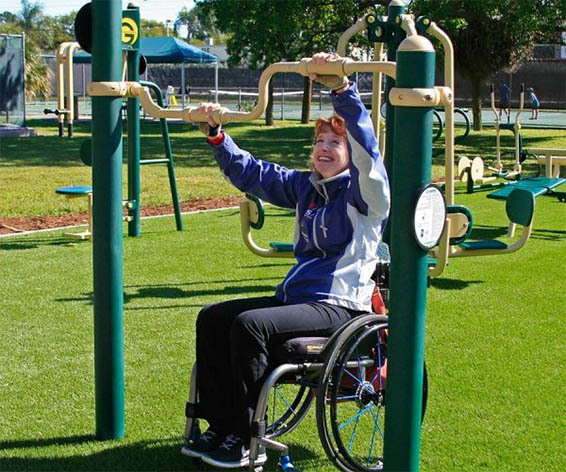 In addition, the social aspect of Greenfields’ fitness zones promotes integration and inclusion of individuals with mobility impairments into the greater community. 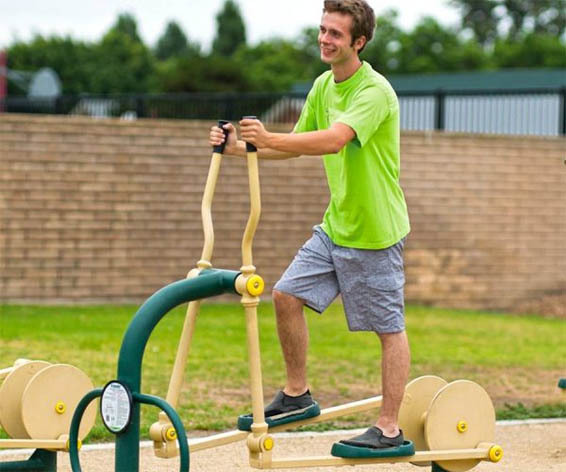 Greenfields Core exercise equipment provide exercises that focus on either the stabilization, endurance or strengthening of the core muscles. 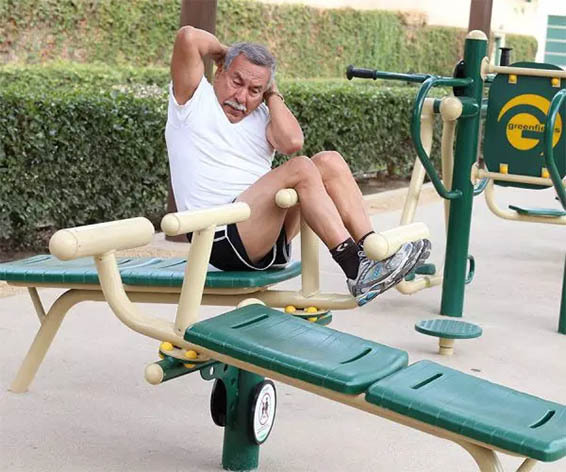 Core exercises focus on the abdomen, the lower abdomen and hips, the obliques, stabilizing muscles, the spine and the back muscles. 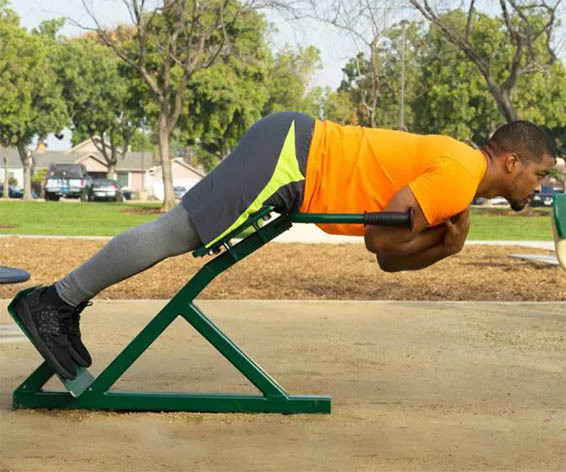 Core exercises train these muscles to work together properly to maintain proper balance, agility, posture and movement to help the body move efficiently as well as preventing injury. 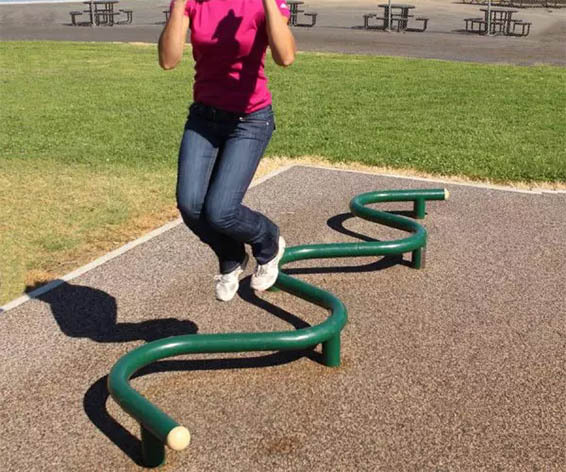 This leads to better balance and stability, whether on the playing field or in daily activities. 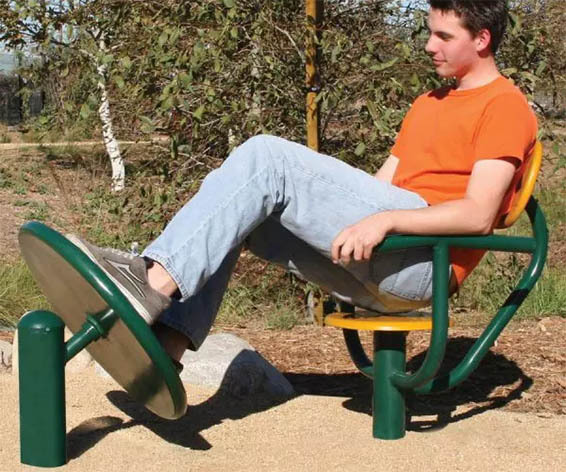 In fact, most sports and other physical activities depend on stable core muscles. 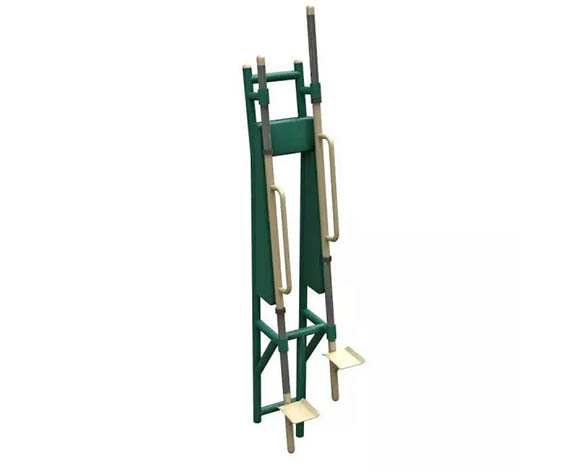 Greenfields offers several packages made up of static “non-moving” equipment. 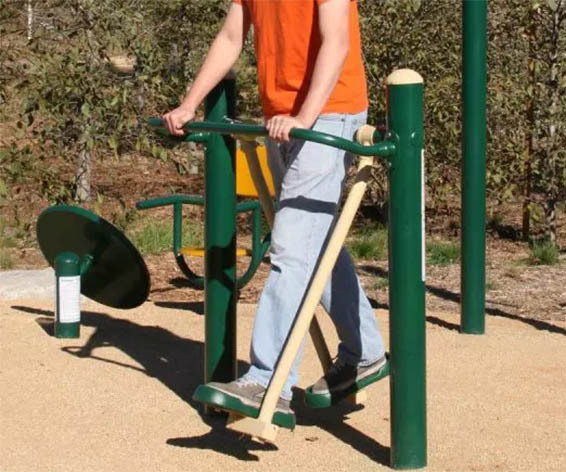 This equipment is beneficial to groups with smaller budgets, smaller areas, or any situation where moving parts may not be beneficial to local conditions. 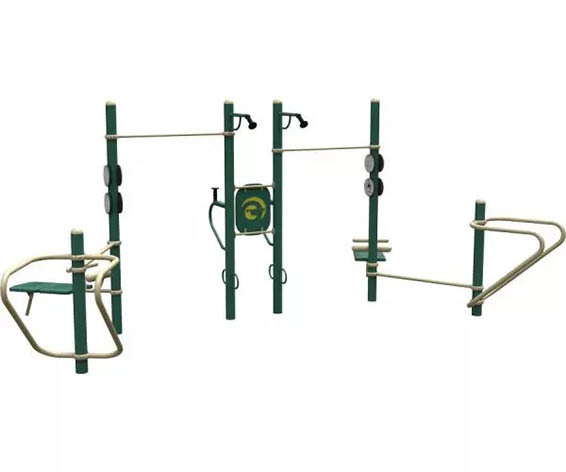 Can be used for pull-ups and push-ups. 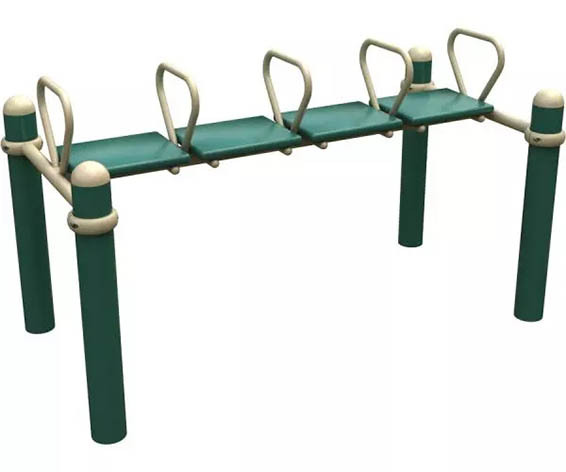 Can be used by five people simultaneously. 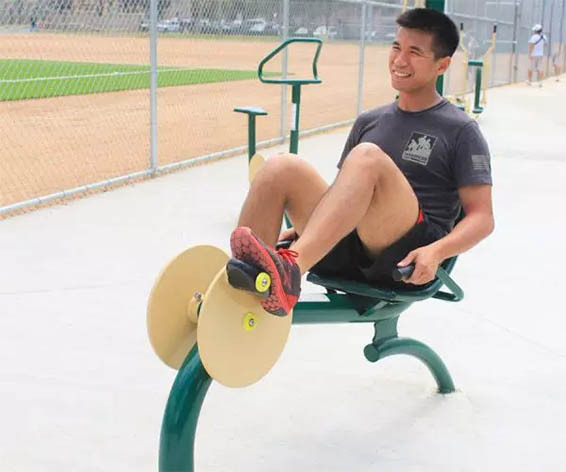 Only Available in Canada through Henderson Recreation. 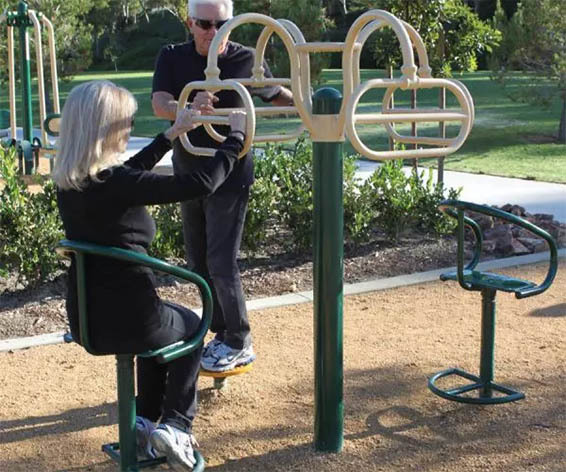 Henderson Recreation is proud to offer Greenfield Outdoor Fitness all across Canada however we can not offer this product in the US. 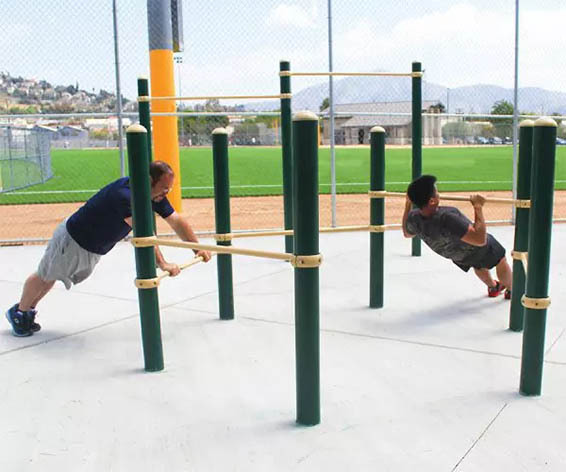 Please contact Greenfield Outdoor Fitness. 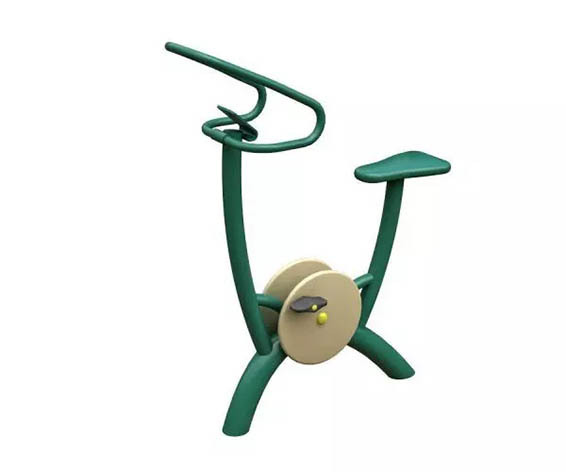 Want to see all the Product lines from Henderson?